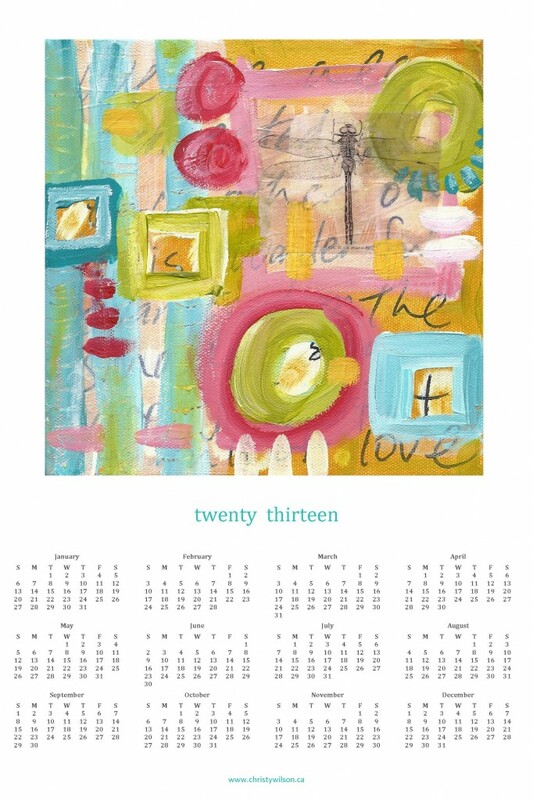 So I am a bit late off the mark with my calendars this year, but hey, there really are so many days left to enjoy in 2013, better late than never! I actually had not planned to make them this year, the winter crafting was in high gear and there was just not enough time. 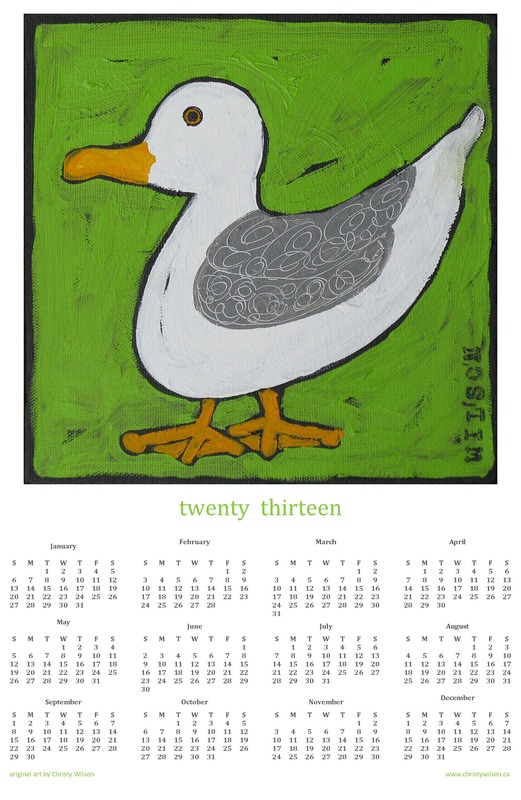 But then, right before Christmas I had some of last year’s customers asking for 2013 calendars. Oh how that made me SMILE but there simply was not enough time to sneak it in. To console them I reminded them that the page per month version I did last year includes January 2013 (most seemed unaware of this bonus page) and I promised that next year I will make another. 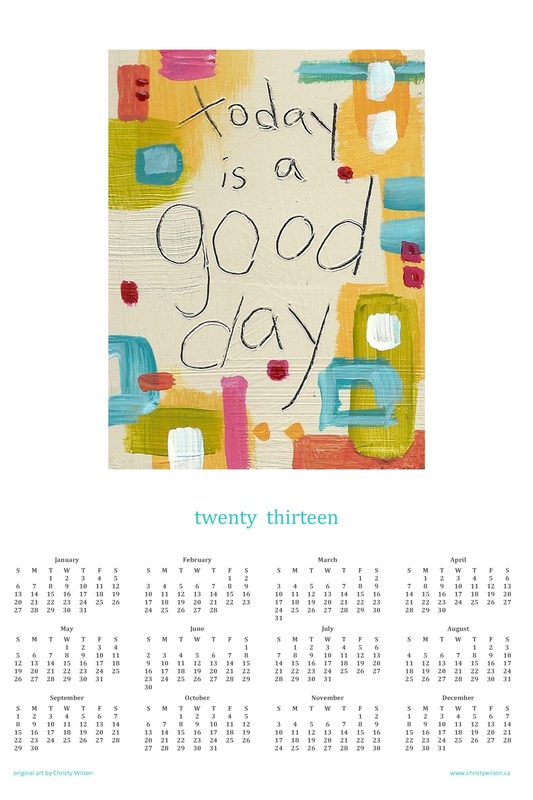 In the meantime, I decided to whip up a few year-at-a-glance poster calendars for 2013. Thanks to my hubby for creating a beautiful template and a local print shop for zipping up my order, I now have some for sale in my etsy shop and at Artzi Stuff in downtown Nanaimo. And I mean SALE….since these puppies are late, you can have them for a great price (just $7 for each 12 x 18 inch poster)! Now our office wall has a fun new poster to help us plan the months to come! I wonder, which 2013 design do you like the best? I love the SEAGULL !!!! 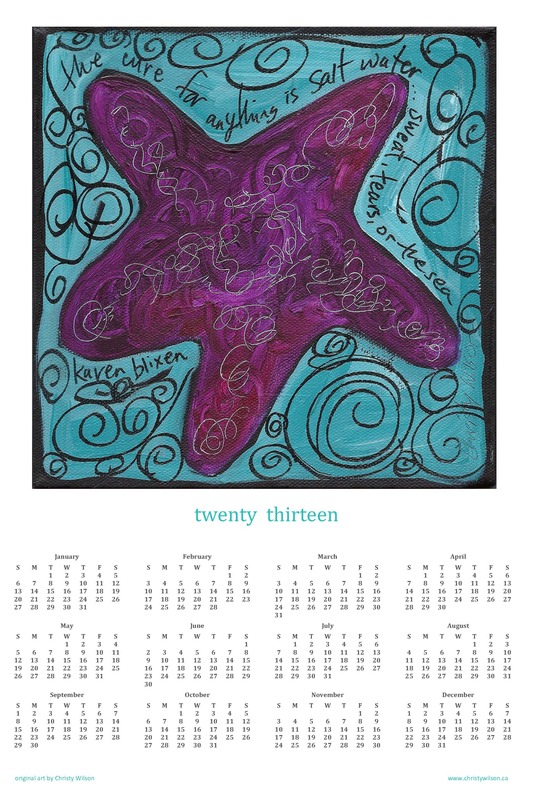 I am so torn between the sea gull and the sea star…..both so enticing!